The Carlton Tavern, with support from the local music community and chestergigs.com are proud to announce that they will be running a 3 day live music festival starting this Friday, starting at 5pm. The event gets off to a cracking start with quality acoustica from Captain Andy Hignett and Dai Banjo, punchy indie from The Jigsaws & Brazen Swagger, Chester Hip Hop from Vil and ending with The Daymons bringing the love, harmonics and a bit of brass to the proceedings. On Saturday there’s another packed schedule starting with Carlton favourites and open mic hosts Bean Rule & Mark Henderson, Urgent modfolk acoustica from Paul Williams, Action Transfers frontman Ian O’ Brien will be bringing 30 years of musical class, plus more leftfield leanings from Shem Sharples and Thor Brown. After some punky grunge from Ryuko, the event finishes with Wrexham’s synth punk joy Def Neon. On Sunday Chester Soul Club will be taking over for an afternoon of six decades of Funk & Soul, all on original vinyl. Mark Howell & Russ Hughes are your spinning winners for this Sunday daytime treat. And later on Sunday evening, Bean Rule will be hosting an Open Mic session featuring some of the cream of Chester’s gtass roots community. The venue is completely free entry all weekend will be supplying free munch to soak up the beer and the music. Come And Join The Alliance. 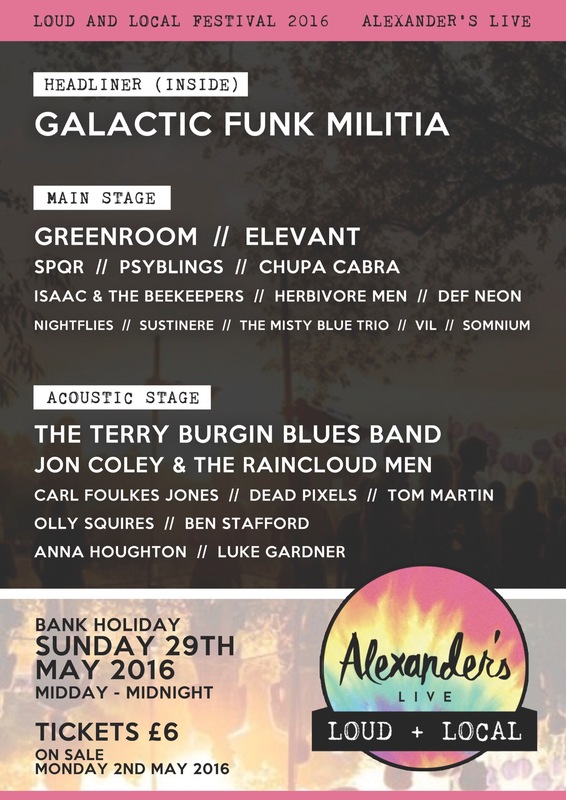 Alexander’s Live, Loud & Local Festival is an outdoor, independent music festival taking place on Sunday 29th May 2016, live music from midday till midnight across two separate stages – come rain or shine, there is guaranteed to be something on show for everyone. With a bill featuring over 20 of the finest acts from across the North West & North Wales, live music fans will have the chance to catch homegrown Hip-hop from VIL; red blooded synth rock from Def Neon; scuzzy garage punk from Chupa Cabra and foot-stomping Blues from The Terry Burgin Blues Band. Alongside the sinister outbursts of SPQR; riotous psych-rock of PSYBLINGS; the captivating talent of Jon Coley and the eccentric alt-rock of Elevant. 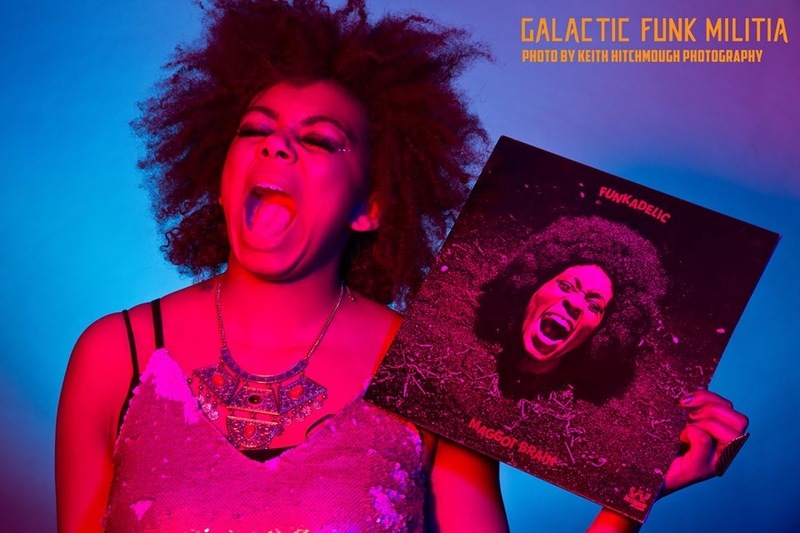 The audacious funk of Liverpool’s 12-piece funk battalion, Galactic Funk Militia will be closing the evening, as their thumping dance floor smashers explode with horns and electric guitar, while liquid ballads seduce your ears with sensuous synth and exquisite melody. All driven by impulsive groove, quick-fire rap gymnastics and completed by the incredible voice of Amber Kuti. 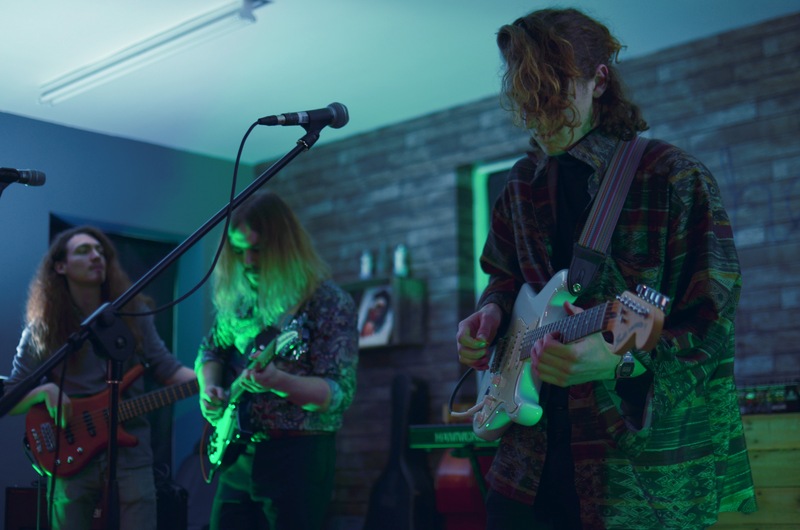 After their impressive performance at this years’s Gathering Festival, emerging buzz-band Greenroom (and Alexander’s Live house favourites) will also be headlining our outdoor stage. There will also be a variety of independent stalls from local businesses on show, face painting and fun-filled activities for the whole family and a pop-up bar/BBQ serving Alexander’s locally sourced burgers! It’s almost time for Chester Folk Festival 2016 and once again the organisers will be putting on a celebration of all that’s best in traditional and acoustic music. Running from 27th to 30th May. A small, friendly, family festival that takes place in the village of Kelsall. 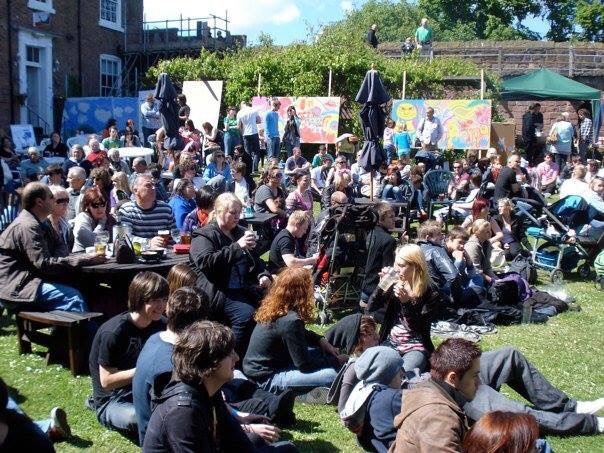 It mixes showcase concerts, featuring some of the biggest names around, with more informal events such as ceilidhs, dance displays, sessions, workshops, a craft fair and a full programme of children’s entertainment, including things like circus skills and Punch & Judy, provided by Panic Circus. This year’s stellar guest list has breadth and depth aplenty. Multiple BBC Radio 2 Folk Award winners Nancy Kerr & James Fagan and legendary duo Richard & Jess Arrowsmith (Crucible, Hekety) will be appearing as two separate couples as well as combining to play as the amazing Melrose Quartet. These Sheffield-based friends and neighbours have been capturing imaginations wherever they go with their bold take on old and new English songs and tunes. Glorious four-part harmony singing combines with crunchy twin fiddles, full-bodied melodeon and powerful bouzouki in a set that will leave your heart singing and your feet tapping. Bringing their brand of gutsy folk rock back to Chester are 2016 Folking Award winners Blackbeard’s Tea Party. Traditional songs and folk tunes are given a heavy rock edge with playful arrangements and driving dance rhythms. This is all mixed up in an engaging, high-octane stage show that frequently leaves audiences cheering for more, so it’s unsurprising they’re one of the most sought-after bands around. Last year the Wilson Family of five brothers from Teesside celebrated forty years of singing on the folk circuit. Their strong unaccompanied harmony singing of traditional songs and songs of social comment, together with their humour and camaraderie on stage, have attracted innumerable fans over the years, including Sting who asked them to be part of his Last Ship production which premièred on Broadway in 2013. Their appearance at the BBC folk Prom concert with Kathryn Tickell was another highlight, winning them many five star reviews. This year’s festival will be the fortieth since its inception and to celebrate, organisers have booked a series of returning favourites who have been regular visitors for much of that time. They include the dark brown voice and relaxed singing style of Yorkshireman Dave Burland; the hilarious performances of his own crazy (and clever) poetry of the self-styled professional idiot, the inimitable Les Barker; the glorious singing and gentle Irish humour of Seán Cannon, formerly lead singer with The Dubliners; the masterful playing and singing of Bill Caddick, one of the foremost songwriters on the scene; and the distinctive voice of the multi-talented ‘one man folk industry’ Pete Coe, this time appearing with Alice Jones. But don’t think the festival is all about the past; there is plenty on offer that is new to Chester. There’s Kelly Oliver who The Times speaks of as ‘an artist who blends traditional values with hints of a bold indie-pop sensibility’; Josienne Clarke & Ben Walker whose performances, laced with ‘misery, mirth and sheer beauty’, helped make them winners of the Best Duo category at the 2015 BBC Folk Awards; folk singer & songwriter Kim Lowings who fronts a collective of musicians called The Greenwood; “one of England’s finest young singers” Gavin Davenport, teamed with the energy, exuberance and emotion of fiddle player Tom Kitching; and banjo player and songwriter Dan Walsh who is described as ‘eclectically inspired and consistently brilliant’. These are just some of the many delights on offer. In addition there’s a full line up of talented musicians, singers and dancers from around the country including some regular local performers such as Fiddlestone; Full House; Roy Clinging; Graham Bellinger; and The Waite Collective. And the festival isn’t only about concerts. Once again there will be a daily series of events aimed at the 12 to 20 age group, each one led by Festival guest artists from a similar age range. The Youth Room gives young participants the opportunity to exchange ideas, questions, and experiences, and to create music together; they are encouraged to bring their own instrument and/or voice or just come along to listen. These are non-ticket events, so friends and fellow musicians who aren’t sure about buying full festival tickets can still come along and sample what goes on. There’s plenty for dancers too with a ceilidh each evening as well as a Saturday afternoon dance aimed at all the family. Some of the top exponents of ceilidh dance music will be taking part, including The Black Box Band, All Blacked Up, Hekety and local heroes The Time Bandits. Experienced callers, like Baz Parkes, Pete Coe, Gordon Potts and Martyn Harvey, will also be on hand to help everyone join in, experts and beginners alike. With so much going on over the weekend, why not go along and join in the fun? Day and evening tickets as well as full weekend tickets are available and can be purchased on site by going to the festival office which is located near the Lord Binning pub. Chester Pride will be hosting free events in Grosvenor Park this Summer in support of the main Chester Pride festival on 1st October. ‘Pride in the Park’ events will run May to September, with the first fundraiser being a family fun day on Saturday 7th May. The day will include a children’s disco, Tai Chi taster sessions, swing dancing with Chester Swing Dance Society, a demonstration from Cheshire Hellcats Roller Derby, and fun activities with Brio Leisure. Big Heritage will also be there with their Roman Medicine Roadshow, plus there will be arts and crafts, stalls and more. The fun day will take place from 12-4pm near the activity centre. Fun days will also take place in July, August and September, featuring activities such as the first Chester Pride ‘Bake-Off’ style competition and Chester Pride’s Got Talent. A special evening event Pride in the Park ‘Park Sounds’ will take place on Saturday 18 June with a Tai Chi taster to start followed by live music from Jess Ball and acclaimed band Heal the Last Stand before they head off to play Glastonbury. Details of all the Pride in the Park events, and other upcoming fundraisers, can be found on the Chester Pride website http://www.chesterpride.co.uk or follow Chester Pride UK on facebook or via twitter @chesterpride. Spring is coming and music is in the air and thoughts turn to the coming festival season! The Gathering 2016 is Chester’s very own music and arts festival here found every May Day bank holiday weekend at Alexander’s: Amazing bands and acoustic performers, DJ’s, street artists, stalls and poets: all the stuff you would find at a festival but in the middle of Chester, so don’t miss it! Plus Stalls, BBQ, outdoor bar and much, much more. Good for Nothing Chester is bristling with good intentions and singing up a Sunny Day in readiness for our first “24 hour hack gig” on 16th and 17th May 2014. Our hack will start on Friday 16 May at 1900 when we’ll introduce the chosen Ventures (the good causes, the causes of the good), and they’ll talk through their briefs – brought to you by the letter F for food, farms and good old-fashioned fun. Hey, back up the fun bus a minute. This all sounds good, but what’s it all about? Why are we doing this? To bring sunshine, skills and talent to Chester’s cause-led innovators and change makers, to make Chester – and the world – the kinda inspiring place we want to live. How will we do what we do? Talented, experienced and like-minded creative, tech and design folk will give their skills for free to answer our Ventures’ challenges. What does the hack involve? Good for Nothing is a bit like a house party but with people doing good stuff rather than getting hammered. Music is a big part of the experience and so is great food and drink. Our Good for Nothing friends have donated music, food and drink to keep all of you good people going for 24 hours, so watch this space to find out who to heap your love upon. All we ask is you bring your favourite childhood game. Now sign up and pass this on to every talented friend know – especially any designers, developers & copy writers – via twitter #sunnyday @GFNChester #getyohackon. Not only will you feel warm inside, you’ll feel like the cat that got the cream…and the custard. Ps Go on, you know you want to. I returned to the Town Hall on Monday to hear Peter Snow’s talk “When Britain burned the White House” as part of the Essar Chester Literature Festival. My first thought was that Peter Snow’s career is particularly noteworthy. He has worked for the BBC and ITV. He has appeared on Newsnight and ITN news. He has shown us the future on Tomorrow’s World and uncovered the past with his son, Dan Snow. Perhaps, most famously, he made General Elections come alive through the legendary *swingometer*. He now writes books. 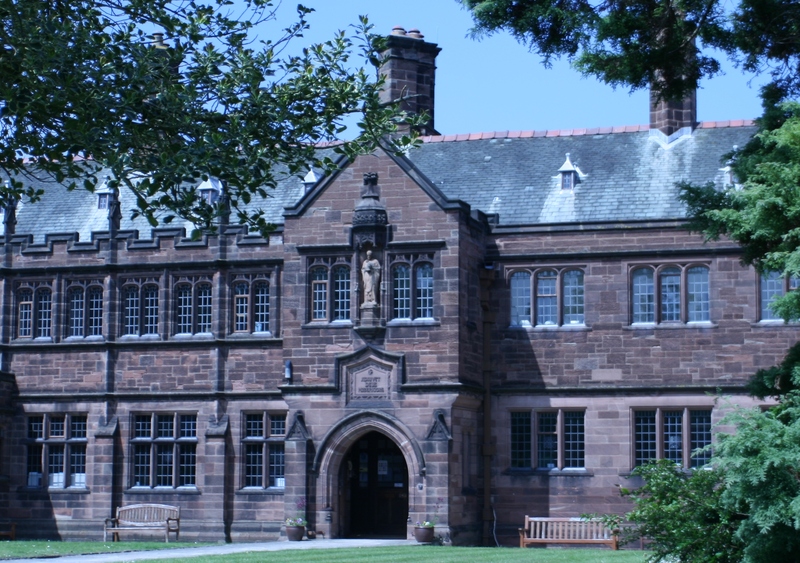 Before launching headfirst into his talk, Mr Snow informed us that he first came to Chester fifty odd years ago, and mentioned a visit to a local ballroom and dancing with many ladies – the old rogue. My wife speculated that this visit probably coincided with a trip to see the in-laws – Dan Snow is married Lady Edwina Grosvenor, daughter of the Duke of Westminster. He did mention they lived down the road. Who knows and who cares. The title of the talk takes its name from the title of Peter Snow’s latest book. Told through the eyes of Harry Smith – the hero of his previous book *To War with Wellington* – and focuses on this little known episode in our special relationship. The talk revolved around Whitehall’s wish to end this ridiculous war with the Americans by giving the Yanks a *good drubbing*. The cast featured a singular group of incompetent, insubordinate and indomitable folk. Rear Admiral George Cockburn, the driving force behind the sacking of Washington and man to whom orders were discretionary. Major General Robert Ross, Cockburn’s accessory and a man of derring-do whose bravery led to his premature death. Vice Admiral Alexander Cochrane, a man who had the good sense to change his position to make political capital. On the US side, there’s President James Madison: a man of great intellect, but not overly blessed with battle smarts. His redoubtable wife, Dolley, who refused to leave the White House until the bitter end. John Pendleton Kennedy, a writer who went into battle wearing dancing shoes. Francis Scott Key, a lawyer who composed the *Star Spangled Banner* as he witnessed Baltimore being bombarded. They all sounded so much more glamorous, heroic and likeable than the Brits. Along the way to the White House, we learned a few interesting titbits. Only the British army and Al Qaeda have managed to attack Washington. The high command of the British army dined at the White House – finishing off a dinner party prepared for the President – before then ransacking the *People’s House*. Only two presidents have fled the White House, James Madison and George Dubya Bush. The Americans burned the Canadian parliament a few years before the White House burned (Karma?). A gentlemen called William Thornton convinced Cockburn to spare the US Patent Office because of the contents *usefulness to humanity*. Cockburn saw off a Yankee soldier who had the temerity to fire at him with the words *I’ll give it to you, damn Yankee!*. In recent years, both David Cameron and Tony Blair have apologised for the burning. Finally, there is a place called *Bread and Cheese Creek* in Baltimore County. My wife would very much like to live there. The talk was enlightening and the pace was galloping, as if delivered on horseback. Peter Snow reminds me of my history teacher, Mr Winter. He once taught a lesson using only his tie collection, which encompassed the Silk Road, the swinging sixties and the Victorians. They are of the same ilk, able to breathe life into history through enthusiasm, passion and knowledge. They are very special people indeed. Another lovely night out courtesy of Chester Performs. PS. after the talk, my wife suggested that military history would be my next passion. Apparently, I am travelling along an evolutionary arc – beard, real ale, cycling – which will inevitably bend toward this subject. Thoughts? I’ve spent a great deal of time lately thinking about how things start. Why do some things catch in the imagination and take root? But whilst I was at Gladstone’s Library this image caught my eye. 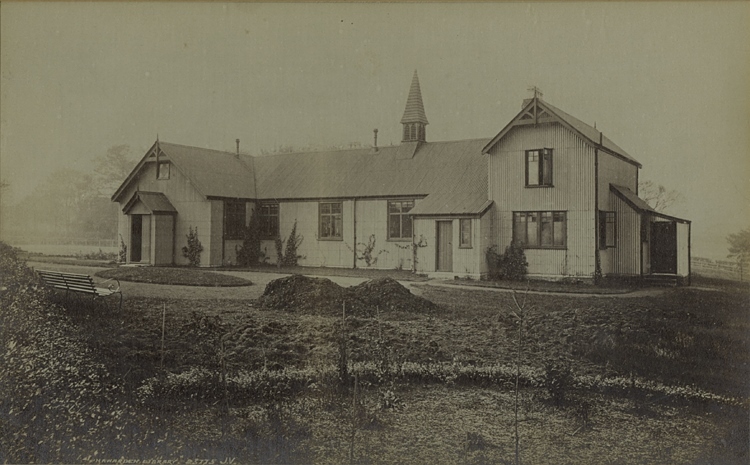 The Tin Tabernacle; reproduced courtesy of Gladstone’s Library. This is the “Tin Tabernacle” built 1889, the original housing for Gladstone’s collection of books. It was a beginning, a short distance from the current library building. 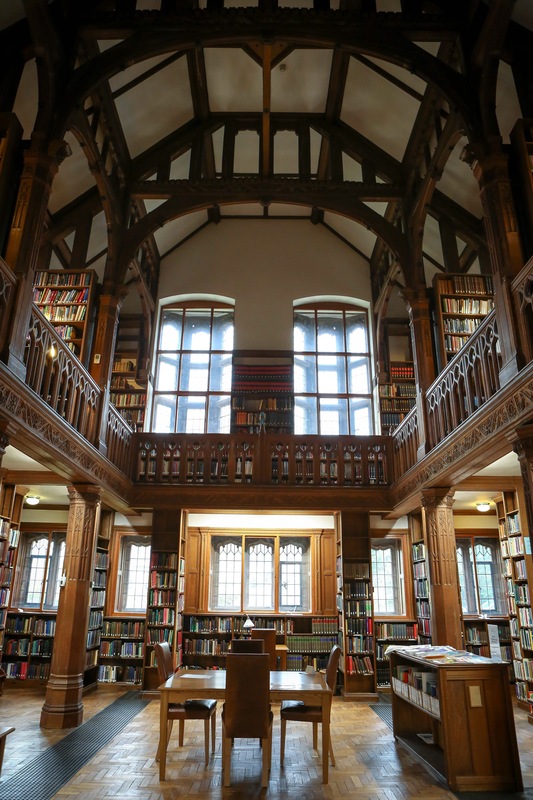 Gladstone’s Library. 10th June 2013. There is a special energy in beginnings; a necessary creativity. Growth of any kind needs support. Here’s to each of you then and seeing you out and about over the coming months; taking part in and enjoying everything that goes to create Chester’s culture.